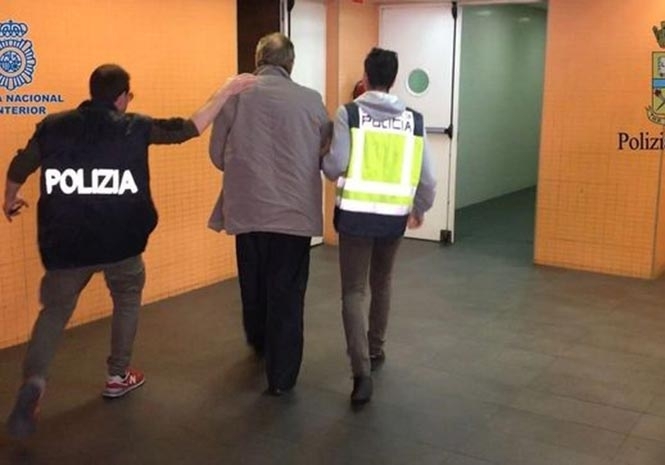 AN ITALIAN mafia doyen on the run for 25 years has been arrested in Alicante. Fausto Pellegrinetti is reportedly charged with money laundering and cocaine trafficking to the tune of 550 kilogrammes. He had escaped Italian house arrest in October 1993, before police tracked him to a luxury penthouse in Alicante and arrested him on Sunday, at around 2pm. Police suspect him of living under a false identity in the city for several years. They say he is also known as ‘Franco’ or ‘Enrico’. Believed to be an important figure in Rome’s mafia – notably the ‘La Magliana’ ring – he had already been sentenced to 13 years in prison. He Is also reportedly associated with the Marsigliesi, Berenguer, Bellicini and Bergamelli clans. A joint investigation by Spanish and Italian police into the ring led them to Pellegrinetti, who they believe has remained active in the criminal underworld for decades.